Centrifugation is an easy and safe way to obtain PRP (platelet-rich or thrombocyte-rich plasma) from the patient's whole blood which is then re-injected into joints, muscle tissue, tendon tissue or into the skin. Thrombocytes contain a large amount of different growth factors and anti-inflammatory cytokines which have regenerating effects on the tissue and promote cell growth. PRP treatments can be combined very successfully with (interstitial and intra-articular) laser therapy to utilize the regenerative effects of laser irradiation and thus achieve better treatment results. The direct irradiation 'from inside' stimulates cellular activity and the regeneration of tissue. The use of ultrasound in the cosmetic field is very versatile. The frequency range for best treatment results is 1 MHz (= 1 million cycles per second). With our handheld ultrasound device, you can achieve both thermal and mechanical effects. Due to their vibrations, ultrasonic waves generate local heating of up to 0.5-1 °C which also reaches deeper skin levels. The blood vessels react to this stimulus by expanding which in turn promotes blood circulation. Ultrasound waves create a micro-massage effect. Cell membranes are stimulated by vibrations which allows the diffusion of substances through membranes. This effect is especially desirable if you want to introduce active substances into the skin from outside. These thermal and mechanical effects stimulate a variety of cell processes, including the formation of elastin and collagen which make the skin appear more firm. 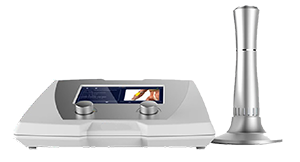 Furthermore, ultra-sound waves encourage lymph flow by stimulating the metabolism which helps the skin to detoxify by removing metabolic products from tissue cells. 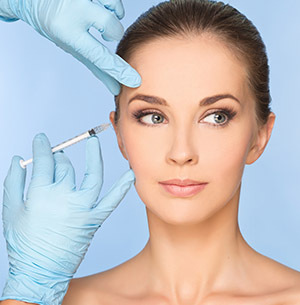 Ultrasound can be combined effectively with PRP (Platelet-Rich Plasma) or Microneedling treatments. All these therapies are aimed at bringing active ingredients into the skin in order to potentiate their effect and complement each other. Therapeutic ultrasound operates at frequencies between 1 and 3 MHz in continuous or pulsed mode. Thermal effects occur primarily in continuous mode. They are a result of sound absorption by the tissue. Heat develops mainly at boundary layers, i.e., at transition areas between skin, adipose tissue and bones. These reflect sound waves stronger than the surrounding tissue. The body responds to this stimulus by pumping fresh blood to the heated areas to cool them down. The stimulation of blood circulation and the warming effects in deep tissue layers result in pain relief and muscle relaxation. Mechanical effects can be achieved in pulsed mode. Due to sound pressure, molecules in the sonicated tissue experience vibrations and accelerations which have the effect of a high-frequency vibration massage. Stiff joints and tense muscles can be relaxed by the vibration of sound waves. These vibrations form cavitation bubbles in the body tissue which dissolve locally inflamed and hardened tissue structures. Thermal and mechanical effects also improve the cell permeability of calcium and sodium ions, causing physiological changes and a stimulation of metabolic and self-healing processes. Since the photosensitizers used for PDT (Photodynamic Therapy) can also be stimulated by ultrasound waves, it is advisable to combine these two therapies. Ultrasound waves can cause cavitation effects to make cell walls more permeable. Treatment of a neck tumor with low-power ultrasound (Frequency: 1 MHz, Intensity: 2 W/cm², Duration: 15 mins.) in combination with indocyanine green (ICG) as sonosensitizer. Shockwaves are acoustic waves with high energy peak. They are targeted to aching bones and muscle tissue. The released energy promotes endogenous repair mechanisms to support the regeneration of damaged tissue. Shockwave therapy is a non-invasive method for a variety of (chronic) musculoskeletal diseases and tendinopathy. In PDT shockwaves support the ability of the photo-/sonosensitizer to accumulate in the tissue.